A little late, since I have been busy doing all the things. 1. It started with coffee and breakfast with my friend Lizzy in Keynsham, on Saturday morning. 2. From there, it progressed to afternoon tea and some shopping at Cribbs with Tutt (most of my money seems to go on buying hot drinks out of the house these days). 3. 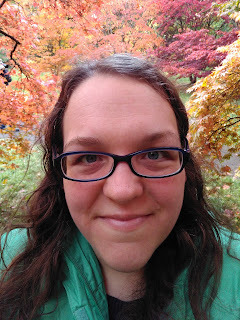 On Sunday, Mr Z and I went to Westonbirt to get in on the autumn foliage action. Beautiful trees, even though there were masses of people. 4. On Monday, I met up with another teacher to discuss the new GCSE. She interviewed against me for my current job. It wasn't awkward, thankfully. I bought two fancy coffees. Well, I made the second one a simple black Americano because I'd already drunk a whole year's allocation of non-milk milk by this point. 5. Tuesday, I drove to Devizes where my friend Jen is glamping with her husband and daughters. 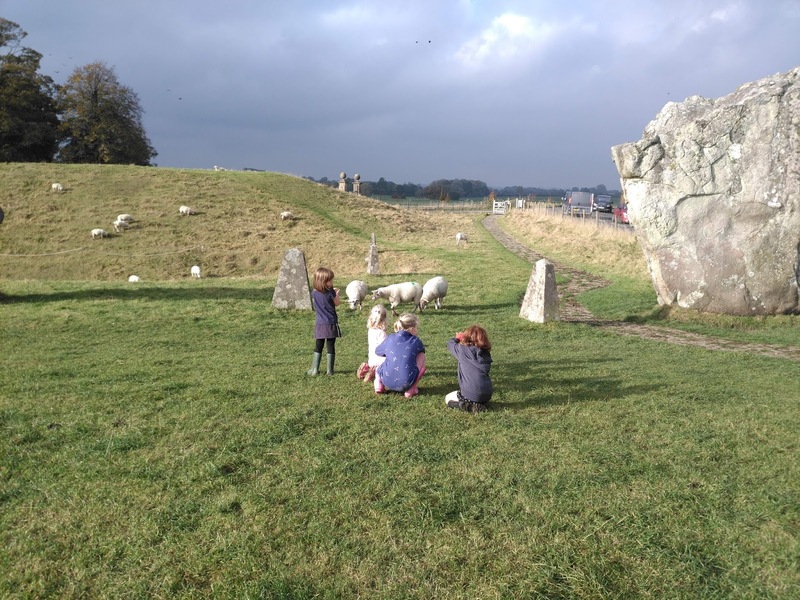 I took the girls out to Avebury for the day with the help of Vikki who, helpfully, has two daughters close in age. There was a lot of puddle jumping and sheep bothering. 6. I stayed Tuesday night in the glamping paradise. Big fluffy bed, wood burner, sleeping bag. Lovely. Until I stuck my foot out the side of my sleeping bag at some point in the night, and then woke up unable to feel it. Hypochondriac's nightmare. 7. Breakfast in Devizes with old ski buddy Cara and old line manager Paul. I haven't seen Cara for nearly three years and she's now engaged to the man she had had one date with the last time we spoke. Where does the time go? I drank two coffees with lacto-free milk. First time I'd tried it: nicer than soy. 8. Dinner and drinks with old colleagues Tom and Huw. We went to a bar in Bath that serves cider tasting boards, consisting of five one third pints of different ciders. Delightful. Then on to the Dark Horse, Bath's most mysterious cocktail (and other drinks) bar. Tom said he felt like he was in a Bond movie. I don't think the place can dislodge the gin place as my favourite bar, but it runs a close second. 9. I finished the linen top! Like, about half an hour ago, after spending the day doggedly knitting the collar and sleeves and weaving in all the ends, and catching up on all the television I haven't watched for the past month. Full linen love post to follow. 10. On Saturday we're off to Taunton for a Hallowe'en shin dig. That means I need to sort out fancy dress tomorrow. I think I might cop out, put on a work suit and go as an Ofsted inspector: terrifying, to a partyful of teachers. I've fitted a lot in! Though there are still more people on the list of those I would like to have caught up with. Still, there's always Christmas.